Owner	 Park Place [email protected] LLC. • (not specified)	 Steven Feller P.E. Employing a very three dimensional, sculptural solution to its shape, the building’s southern and eastern faces meet at a 75 degree angle; these two faces also inflect inward as they rise at approximately a two degree angle. In addition, irregular shapes which add to the building’s thrust towards the corner project out 1m (3ft). The overall effect is that of a prism, where the glass takes on characteristics of a solid element. This continues up the building, which reaches a pinnacle at the south east corner. Constructed in an active hurricane region, the all-glass façade is capable of withstanding 67+mps (150+mph) winds. 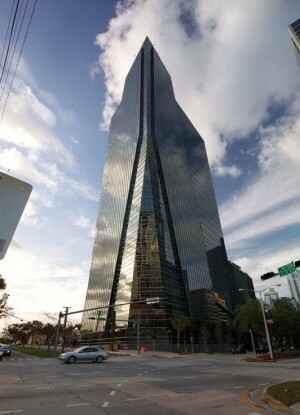 As such, it offers the best protection against hurricanes of any building in Miami. 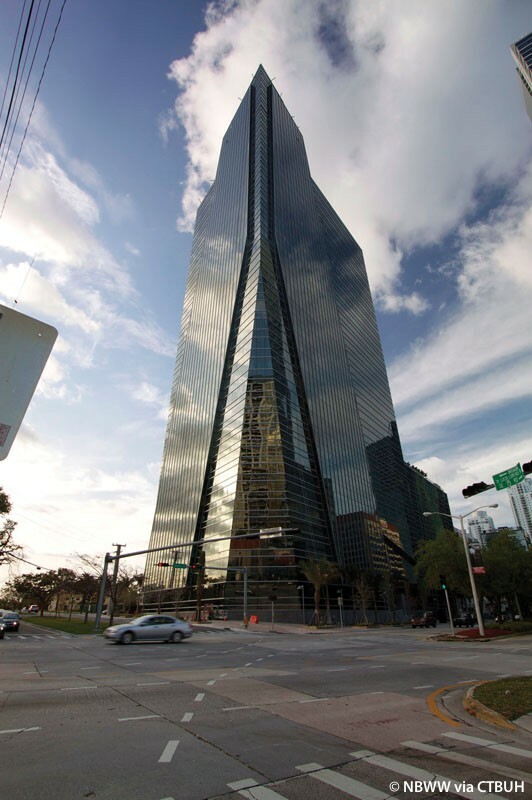 Achieving this required thicker glass (which was already laminated to begin with), stronger connections and extrusions, and more steel in the wind pressure “hot spots.” The glazing was tested repeatedly with a three-story mockup of the curtain wall. With the emergency generator backup system, the building has been designed to come through all but the very strongest storm undamaged, and being able to remain open for business immediately thereafter.